API Technologies is ISO 9001 quality certified company, designs, manufactures and markets a broad line of EMI/RFI filters and power products. Utilizing both hybrid thick film and SMT technology, our power amplifiers draw from a wide range of leading edge semiconductors including: Silicon MOSFET, LDMOS, GaAs, GaN, and SiC. Design the perfect filter to fit your application! 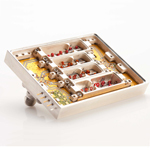 These TEM mode filters consist of inductively coupled short circuited stub resonators. 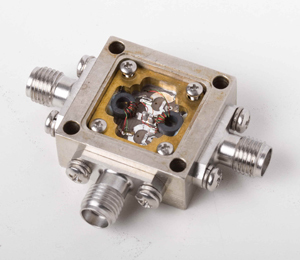 Cavity filters are high Q structures for high selectivity, with very low passband insertion loss, which is important for receiver front end or high power transmit applications. 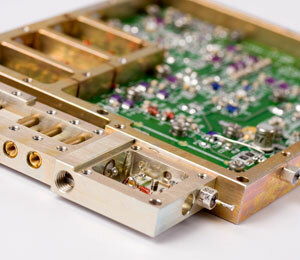 Spectrum Microwave integrates Low Pass Filters into the designs for UltimateRejection Optimization. A Temperature Stabilizing Sponge can be utilized for harsh environments. Lumped element filters consist of discrete capacitors and inductors soldered to a substrate in various schematic configurations. 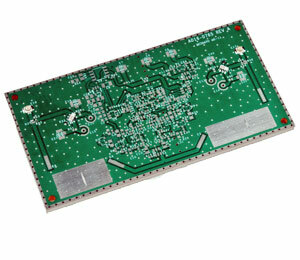 These compact designs are particularly suitable for applications where size is critical. Spectrum Microwave tubular filters provide relatively high unloaded Q’s in a moderate package size. Due to their mechanical configuration, tubular filters have inherently broad stopbands with very high attenuation levels. Waveguide bandpass filters consist of half wavelength resonant cavities coupled by capacitive or inductive irises. These extremely high Q structures provide very low passband loss and steep attenuation skirts. Suspended substrate have an increase is unloaded Q which results in lower passband loss than conventional stripline filters. In addition, the lack of dielectric surrounding the circuit makes the filter less sensitive to ambient temperature variations. 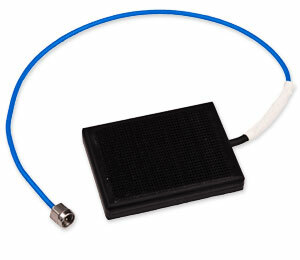 API Technologies filters are ideal for use in more powerful, high amperage circuits and are suited to perform in telecom and industrial environments. EMI/RFI power filters may be used in various industries including the medical, telecommunications, computer and general industrial areas. Specific applications include cellular base stations, traffic control systems, telephone switching equipment, UPS, power supplies, industrial controls and welders, and servers. API Technologies has designed components to fully comply with MIL-PRF-38534 as well as for Space and other hostile environments. 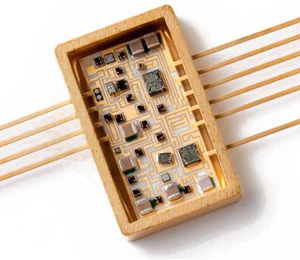 The operating frequency range stretches from DC up to 50 GHz.